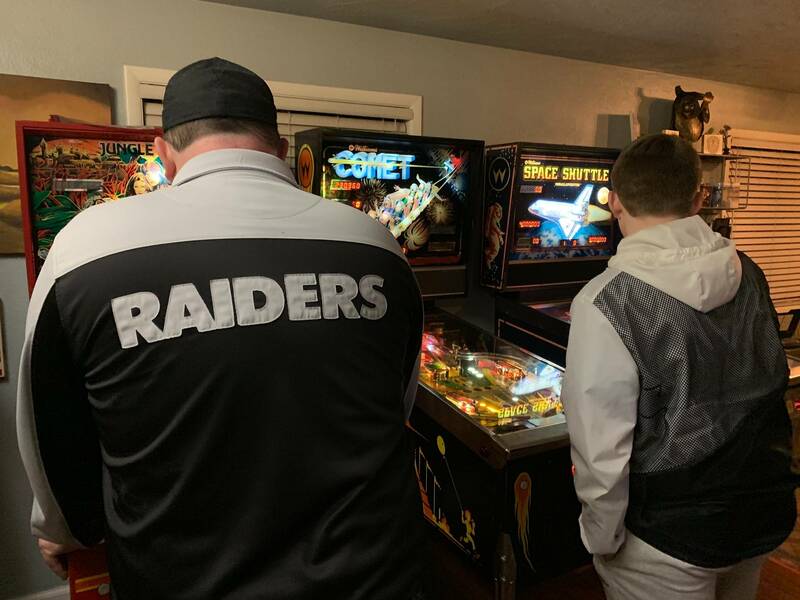 After watching a documentary last year on how the old pinball masters are retiring, leaving nobody to fix the machines in the future, I decided to switch gears and start a new career in pinball to help preserve a legacy that I’ve enjoy over my life, but never owned my own machine. I’ve never even owned my own machine so now what? Well, but a broken machine and fix it. That’s exactly what I did. I found one of my old, childhood, favorites locally and now owned my first Williams “Comet” pinball machine circa 1985. I probably paid way too much for it in its state; broken flipper that started smoking, broken main ramp, missing decals, broken ramp gate, weak flippers, dirty playfield/cabinet, and the game would literally shock you when touching it. It was what it was! So, I started at it, watching how to videos, fixing one thing at a time; starting with the easiest fix. When I would get stuck I would post in the forums and search Google for help while also checking thru the schematics and learning the lingo; along with some tips and tricks along the way. I also started amassing a rather large inventory of parts and spare parts eleven machines later, but more importantly was the experience and connections I’ve gained along the journey so far. Learning on your own machines is the best way to get started and after all my repairs and restorations, I’m completely confident in my abilities and have now started my own pinball repair company: Pinball Gurus (www.PinballGurus.com), where we repair, restore, rent, and even place pinball machines in local businesses to be enjoyed by others and preserve this amazing legacy for future generations. 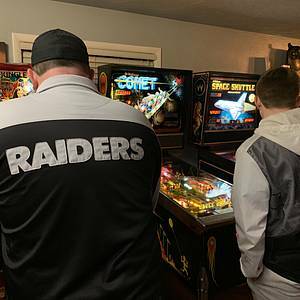 Our future goal is to open a local pinball arcade in addition to our repair facility. Great documentary, motivated me to get my own machines and learn how to repair and upkeep them as well. Nice story! You are a rare breed. So happy you chose to take that path. While not even close to having your experience and knowledge, I have acquired a 1964 Heat Wave and a 1980 Roller Disco. While in good shape, both need repairs, and I intend to learn how to do it myself. Keep up the good work!